If you ask me, I think Sam Kivuitu was an amazing man. A master of English soliloquy, he excelled in humor as well, to the point that his sarcasm was delivered with the wit that only William Shakespeare could have summoned were he alive today. When he said during the tense moments at the KICC in December 2007, that his Returning Officers "were still busy cooking results, but when they get here we shall tell them to return to the person who told them to cook," he was passing an important message that only dim witted folks failed to decipher. As for me and my house I took it that the Chairman knew some external forces were responsible for messing up with the results. And these forces had started earlier by undermining his commission from within. Returning Officers "cooking results" was no accident: it had carefully been orchestrated by those bound to declare themselves winners after messing up the electoral process. After all, wasn't he who had complained to us that electoral commissioners were being forced on him during the run up to the elections? Hadn't he even written to the president, complaining about the same? What did his line Minister do in return? A couple of Sundays ago my wife Dorothy and I went to see Sam and his family in their Garden Estate home after our Sunday service at the Ridgeways Baptist Church where we worship with Kivuitu's son, ....... For quite some time I had been planning to see Sam, but procrastination was always my undoing. This particular Sunday we were determined that seeing Sam was top of the "must do list" that day, and we did it. When we arrived Sam was at home with his wife Priscilla, his brother John Allan Musyoka and a couple of relatives. Sam was in jovial mood; so was John who could not spare our ribs any moment of rest given the many jokes that he kept on cracking. Sam went down memory lane from when he was diagnosed with cancer to his predicament then, assuring us that he couldn't have been any better given where he had come from. I empathized with him deeply when he recounted his experience with early misdiagnosis of his cancer, and how, by sheer insistence, he finally got a true and clear picture of his health status. Many cancer patients go through this journey; and it is quite disconcerting how late diagnosis ends up with tragedies which could have been avoided. True to his sense of humor and ability to mock at himself at times, Sam told me that a friend of his had whispered to him that it was the ODM which had bewitched him so as to get cancer. Musyoka Annan, a clown of a fellow if you asked me, rubbed this in by insisting that the ODM top bras come from a constellation of areas renown for very "kali" witchcraft, making the Akamba ones mere child play. But since, as Secretary General, I had now come to see the Mzee, there was a chance I could remove the spell for Sam to regain his health! I remember spending some time with Sam Kivuitu in South Africa while at a conference on the Africa Peer Review Mechanism, APRM. As the then Minister for Planning and National Development I took charge of the APRM process in Kenya and Sam was one of my pillars in this regard. He was at his best when he explained the importance as well as the limits of periodic elections in Africa, especially when they are conducted under "rules of the game" that can hardly promote democratic choice let alone democratic governance. That issue of poor "rules of the game" finally provided his eventual undoing as the Chairman of the Electoral Commission in Kenya. of turmoil at the time that Sam and his former commissioners were seeking redress in the courts. My hunch is that the old man was in a dilemma. How was he to reconcile himself with the commissioners who were imposed on him, and hence who were largely responsible for undermining his authority from within? Was it really legitimate to have a case where all the commissioners could appeal against wrongful dismissal following the Kriegler Report? Sam Kivuitu had tremendous confidence in himself, to the extent that he could have quite rightly exhibited some arrogance in dealing with people with slow minds. But that ability to ask shocking and unexpected questions served him well when he faced the December 2007 electoral crisis. My hope is that someone will complete the book he was writing since, as Psalm 23 says, the Lord had to finally let his servant depart in peace according to His word, not ours. We obviously wanted Sam to be with us longer; but his maker knew better. May the good Lord bless and keep him, and may He let his soul rest in eternal peace. Wednesday this week was a day of shame in Kenya’s post constitution making history. It was the day the nation’s Chief Justice revealed that there have been threats on his life and those of other judges. Details of these threats apparently came from the outlawed murderous Mungiki sect that had terrorized Central Province for the better part of the last decade. The same sect was adversely mentioned in the 2008 Rift Valley retaliatory massacres following the disputed elections that saw 1500 Kenyans slaughtered in various parts of Kenya. At that time, at least by the ICC reports, Uhuru Kenyatta and Francis Muthaura were alleged to have organized for them a meeting at State House to plan the Rift Valley retaliatory attacks in Naivasha, Gilgil, Molo, Nakuru and Eldoret. Uhuru Kenyatta, President Kibaki and Francis Muthaura denied these allegations. Now, five years later, the same Mungiki have come to the defense of Uhuru and William Ruto’s candidacy. The threat was made on the eve of the judgment that contested the duo’s integrity to seek public office. If it is true that this poisoned letter pen sent to CJ Mutunga came from the Mungiki sect, what connection is there between Jubilee Alliance and the outlawed sect? If these goons can dare to threaten the CJ’s life together with his other members of the bench; who then is safe in Kenya? As the Chief Justice was revealing a threat to his life, something else more ominous came to light. Francis Kimemia the Head of the Civil Service was alleged to have had the audacity to instruct a junior immigration official to block the Chief Justice from travelling to Tanzania for a one day meeting. This affront to the CJ baffled many Kenyans. The audacity with which the Head o f the Civil Service chose to embarrass the CJ was mind boggling. First, the Kenyan constitution is very clear about the separation of powers among the three arms of government. The Chief Justice heads one such arm and enjoys independence and autonomy just like the Speaker of the National Assembly. In real terms the CJ and the Speaker are at the same level as the President and therefore the Head of the Civil Service has no business running the CJ’s schedule- something that even the President cannot do. In more practical terms Francis Kimemia is the CJ’s junior twice over. These dangerous developments may force Kenyans to revisit the recent judgment that cleared Uhuru Kenyatta and William Ruto to run for president even though they are facing charges of crimes against humanity. Had the judges been intimidated? How come the bench that declared that the case was not in their jurisdiction and that it was only the Supreme Court that could hear the case ended up hearing it anyway, passing judgment and even awarding costs to the respondents? 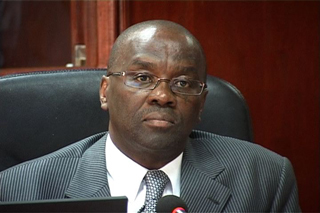 Are Kenyans on a wild goose chase to speculate foul play during the trial? These dangerous developments come at a time when the CORD coalition has accused the Head of the Civil Service together with the military and NIS heads as having met recently to plan how to campaign for Jubilee Alliance. Is it possible that there are plans afoot to rig elections using civil servants to cause chaos again in Kenya? It is a good thing that Francis Kimemia came out to clarify the issue and even sent a circular to all civil servants asking them to desist from engaging in political campaigns. However,was that circular genuine or was it a mere tactical retreat as more clandestine plans were in the offing? Those who are planning to intimidate or kill the CJ and interfere with the elections cannot be called Kenyans or friends of Kenya. Their memories must be really short if indeed they have forgotten the mayhem of 2008 that ruined our economy and loss of property and innocent lives. It beats logic that as we prepare for the next elections since 2007 with ICC cases in the offing, someone can plan an explosive situation like eliminating the CJ and a number of his judges. These planned criminal activities must be a test case for the New Inspector General, the Director of Investigations and the Director of Public Prosecutions. If they don’t take decisive action, Kenyans will be forgiven for assuming that they too are part of the conspiracy. The only way Francis Kimemia and his boys can get out of this mess is to order a thorough and conclusive investigation to bring the Mungiki commanders, their sympathizers and sponsors to take responsibility and face the law. Like I have said elsewhere on these pages before; chaos in Kenya are a recipe for turmoil in East Africa. We cannot allow this to happen so soon after the disaster of 2008. 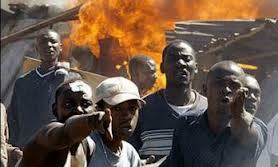 Mungiki movement and threatens dire consequences. seek clearance to travel from the Head of Civil Service or anybody. particularly in the face of a nonexistent circular! After much haggling, I did eventually travel. travelling to Dar es Salaam, Tanzania’. from traveling cannot fit the definition of a small hiccup, however generous one may want to be. convinced it is political, and public accountability requires that I make it public. attacked in the recent past, with some involving gun incidence – as we head into the elections. resulted in a new Constitution. This Constitution must be protected and guarded jealously. gains in this election, or even thereafter, that is a price I am not afraid to pay. 3. The Judiciary has, in a private correspondence, communicated to Mr. Kimemia as to the legal position on the matter of the 'small hiccup' to ensure it never occurs again. of judges and other judicial officers at this time. uninvited guests and will not be hosted in the execution of our mandate. upholding the Constitution; let Kenyans also do their part. these dark forces of retrogression and also advance our constitutional and democratic promise. My fellow Kenyans, with confidence and tribute to the nation, go and vote for our Constitution. It is the only way to reject those who threaten and proclaim violence as a false choice. This week, Sarah Serem, the Chairman of Kenya’s Salary Review Commission dropped a bombshell that is likely to reverberate across East Africa. She reduced the incoming country’s presidential salary by nearly 50% with similar cuts affecting the Deputy President. These salary reductions that affected top constitutional office holders just didn’t simply cut the pay cheques. Where they were unreasonably lower or discriminatory, such officers got upward adjustments. Kenyans have for a long time complained that state officers such as Permanent secretaries and MPs arbitrarily adjusted their salaries with little regard for the ordinary Kenyan or performance of the economy. This blatant looting of state funds was taken a notch higher by the 10th parliament when it arbitrarily passed questionable bills hiking MPs’ salaries under the so called Parliamentary Service Commission chaired by Speaker Kenneth Marende. This greed reached its zenith when on the last day of its sitting; a handful of MPs passed a bill at midnight giving themselves a send off package of Ksh 9 million each. Had the public not demonstrated against Parliament, they would have gotten away with Ksh 2 billion in untaxed income. The President listened to Kenyans and declined to sign the bill into law. 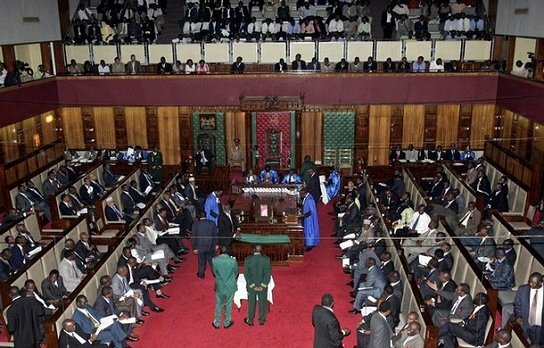 Kenya’s parliament has been a subject of many forums locally and even abroad. There have been situations when the salaries of Kenya’s president, his cabinet and MPs have been compared to their counterparts in East Africa, UK, Canada, USA, Germany and Japan. In most cases including World Bank assessment reports, it was found that Kenya’s state officers’ remuneration scales had no relation to the country’s GDP or even annual economic growth. This logic did not deter MPs from their insatiable appetite for more public funds and exaggerated allowances. This appetite for higher packs by Kenyan law makers was beginning to have negative impact in the region. Kenyan Regional Assembly members of EALA had started grumbling why they should earn less than their counterparts in Nairobi. Ugandan and Tanzanian MPs were beginning to emulate their Kenyan colleagues by demanding higher salaries and to some extent had embarked on the campaign to be at par with Kenya on such matters. It is important to state here that there is nothing wrong with demanding higher salaries and other remunerations as long as those demands are affordable and sustainable. And that was the premise of Sarah Serem’s argument. If we could afford and sustain these obscene salaries perhaps we could all live with it. However, right now, Kenya’s recurrent expenditure stands at Ksh. 1.5 trillion yet our revenue collection has not reached Ksh 900 billion. This means that we have to borrow at least Ksh 600 billion to meet our recurrent expenditure with the bulk going into salaries and allowances for public servants. Let us not for one moment forget that Kenya is a founding member of the East African Community and the largest single economy in the region. The rest of East Africa looks up to Kenya in more ways than one. Everything that happens in Kenya is likely to have impact beyond its borders. It is therefore important that Kenya strives to show leadership by examples that are considered within the borders of acceptable good governance practices. Looting public funds is definitely not one of them. A good example of bad leadership was when Kenya’s political class chose to mess up the 2007 elections; the whole of Eastern Africa was adversely affected. Our instability affected our trade, travel and freedom of movement across the region. Railway lines were uprooted making it impossible for essential goods and services to reach Kampala, Bujumbura, Kigali, Kinshasa and Northern Tanzania. This was the main reason why the international community descended on Nairobi to cool things between warring political parties that were causing untold sufferings to the people of Kenya and the entire region. It is this same reason why indeed the whole of East Africa and the international community are watching with bated breath how the hotly contested Kenyan elections will turn out on March 4 2013. And as I write this article, a number of international observer groups from the European Union, the USA, the AU and the EAC have set up shop in various parts of the country to monitor and ensure we do not repeat the 2007 election malpractices. Given how closely we in East Africa are interrelated economically, politically and culturally, it would be prudent for East Africa to not only take interest in Kenya’s elections that happen every five years. I submit that the whole of East Africa should take a keen interest in Kenya’s decision to slush the salaries of the ruling class and use it as a bench mark to guide similar decisions in the region. If possible, the EALA should have the courage to pass laws that should protect our economies from reckless rulers who may never see the need to provide servant leadership in this day and age. Now that the dust has relatively settled on the chaotic Kenyan primaries for the three leading coalition parties, maybe it is time to discuss what transpired in some of the chaotic spots and debunk some of the lies and rumors that the political class peddled around. Considering that Luo Nyanza, Nyeri and Upper Rift led in electoral malpractices resulting in no voting or non-vote counting where some semblance of voting took place, it would be imperative to second-guess who stood to gain in this seemingly planned chaotic situation. I will in this scenario pay more attention to Kisumu County since I have some numbers to support my arguments. I know we had similar situations in Homa Bay, Karachuonyo, Migori, Mbita, Othaya, Kajiado, Eldoret and parts of Coast region however, data gathered during the voting in Kisumu County shed some light on what might have happened many months before the voting day. First, whereas neighboring constituencies such as Nyando and Muhoroni experienced unprecedented ballot paper shortage, things seemed to have worked differently for Nyakach constituency with actual voting taking place in at least 65 ballot stations. No voting on the other hand seemed to have taken place in Nyando and Muhoroni constituencies on day one. Three days later, voting took place in Nyando in 77 polling stations. Second, clustered constituencies such as Kisumu East, Kisumu West, Kisumu Central and Seme were not spared either. The senatorial voting pattern was intriguing to say the least. A glaring example of this discrepancy is the fact that even though the Minister for Medical Services, Prof. Anyang’ Nyongo comes from Seme, he garnered no votes there and neither were the polling stations listed the way they were listed in Nyakach and Nyando. Talking to some sources on the ground then, it would appear like there were two groups, one consisting of sitting MPs and the other composed of first time aspirants. Whereas the sitting MPs used every trick in the book to delay, divert or destroy ballot papers before they reached their destinations, first timers were more concerned with putting security structures to secure their votes once the votes were in. However, once the incumbents realized that their old tricks of bribing voters or causing chaos at polling stations would not work, they chose to deal with ballot paper handlers at the source in Nairobi. This is the reason Nyando and Muhoroni ballot papers could be located in Kapsabet, Eldoret and other parts of Rift Valley on the morning of the voting day. What was equally baffling was that even when these ballot papers were discovered in Rift Valley, very little effort was made by anybody to redirect them to their respective constituencies even as poor voters were lining up in the scotching sun waiting to exercise their rights. Ballot papers finally arrived in Nyando and Muhoroni three days after the election date! Prior to the primaries in Kisumu County, political campaigns were lackluster. The only meaningful campaigns with visibility were carried out by Prof. Anyang’ Nyongo’ who launched his campaign in Kisumu as early as September 2012 to be followed by Otieno Odongo and Ochola Ogoda, all aspiring for the senate seat. However, one cannot ignore the spirited campaign put up by governor aspirants with occasional lively television debates starring Mzee Ojwang’ K’Ombudo, former cabinet minister and MP for Nyakach, former KRA Commissioner Jack Ranguma, Specter International CEO, Adhiambo Odinga, Atieno Otieno, Obadhaaono, Prof Kariaga and PC Owino Omollo. One candidate that was neither a governor aspirant nor a senator material but established her presence in Kisumu very early was Mrs. Rosa Buyu who campaigned against Olago Aluoch in 2007 but lost under mysterious circumstances. Because Rosa was on the ground just like Prof. Nyongo’, Jack Ranguma and Adhiambo Odinga, she eventually reaped her dividends when the people of Kisumu rewarded her with the ODM ticket. Otieno Odongo’s case was equally intriguing. He seemed not to have convinced Nyando, his home constituency that he was a worthy senate material. Part of Odongo’s problem was that even though he launched his campaign in Nyando as early as November 2010, he kept on blowing hot and cold, giving the impression that he was never a serious candidate. Finally, when the votes were counted where it was possible to vote, Prof. Nyongo’ led in Nyakach with 16,014 votes against his rivals Otieno Odongo’s 2009 votes with Ochola Ogoda coming third with 1048 votes in the same constituency. The 77 polling stations that registered voters in Nyando gave Prof. Nyongo’ 13448 votes against Otieno Odongo’s 3551 votes with Ochola Ogoda coming third with 2059 votes. In Kisumu West, Nyongo’ received votes in 14 stations but no vote was tallied there while votes in Kisumu East were destroyed. This level of incompetence can only be blamed on the ODM National Election Board under Franklin Bett and his board. This scenario has set the stage for a vicious round two of the campaign for March 4th considering that many losers have decamped to other parties, a new phenomenon in Nyanza politics. The question to ask is this; is Nyanza ready to elect individuals rather than party candidates? I don’t think so. Defectors will obviously be buried by the impending avalanche! Forget, for the moment, those calling for an embargo on the public debate on land: they are simply out of touch with the pulse of ordinary Kenyans. In any case, if there is any single issue which has dominated intellectual as well as public discourse in Kenya since independence it is the issue of land ownership, use, scarcity and land as an arena for social conflict. My friend, the late Dr. Apollo Luciano Njonjo, wrote a path breaking thesis at Princeton University on the agrarian question in Central Kenya, focusing particularly on land ownership in Kiambu and commercial agriculture in general. This thesis, and the articles he subsequently wrote out of it, pricked the conscience of the Kiambu agrarian aristocracy and Apollo was obviously not regarded very well by these gentlemen. The tag "rebel" was hang around his neck within the circles of this class which wielded enormous state power during the Kenyatta regime. Thus land, politics and capital have gone together as a trio in Kenya since colonial times. The colonial ruling class, the white gentry, were a landed lot who deprived peasants of their land in Central Kenya and the Rift Valley. They caused a tremendous upheaval that climaxed with the Mau Mau and led to the nationalist movement for independence in Kenya. 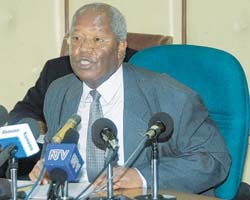 Out of the nationalists now in state power emerged the landed aristocrats in Central Kenya who, uncomfortable with the firebrand nationalists like Bildad Kaggia and Jaramogi Oginga Odinga, fused landed power with state power, sending the firebrand nationalists to forced early retirement from politics as detainees and as the "political unwanted". Land ownership in Kiambu has not changed much since Apollo Njonjo wrote his thesis except for the fact that a part of Kiambu is now a bedroom community for the city of Nairobi: real estate, as it were, is eating up farmers. And land owners who do not want to face the day to day contradiction and conflicts with the landless are clever enough to turn their landed wealth into either finance capital or real estate capital. The landless, however, remain there in Kamirithu or other hamlets with poverty permanently staring at them like stubborn buffalos. and deny justice to the oppressed." When we talk of the landed aristocracy we do not mean the commercial bourgeoisie who borrowed money from the Agricultural Finance Cooperation, bought land, grew coffee, employed labour and by sheer entrepreneurship grew from one stage of capitalist development to the other. These are the engines of growth in our economy. They exist in various sectors of the economy beyond agriculture, and quite often they are also the victims of the "straddlers" using state power to leap frog from land ownership (usually "grabbed" land) to entrepreneurship, and quite often with very poor results. And that is why they must struggle tooth and nail to access state power to permanently protect their straddling and grabbing tendencies. In the much wider scheme of things we need to realize that we are in a transition, a major transition; a transition which, at the political level, manifests itself as a transition from a presidential authoritarian regime to a national democratic regime. The constitution envisages the emergence of a national democratic and developmental state: this is a state which is democratic in political form and developmental in social and economic content. Politically the presidential authoritarian "forms" have to be dismantled: the judges who are on hire, the authoritarian provincial administration, the police who are only answerable to the the top, etc. All these have been used, under the presidential authoritarian system, to "legalize" land grabbing, delegitimize any resistance to land grabbing and theft, and to finance politics out of shady land transactions. As the national democratic and developmental state is institutionalized Kenya has to have land laws and regulations that will first and foremost correct the injustices such as grabbing, theft, deprivations etc which are completely antithetical to legal capital accumulation in a democratic and developmental state. As such debate on land cannot be gagged if we want to create a state which is democratic in political form and developmental in social and economic content. No wonder the setting up of a National Land Commission has been such a protracted struggle. By its very nature it had to be so. The transition is a threat to certain life styles and those who enjoy these life styles will resist the transition and mobilize political allies even across class lines to defend their case. And this is where ethnic identities are at times used to create blocks of solidarity which impede progress in defense of a decaying social, political and economic order. To be precise the land question is not an ethnic issue: it is a national issue. It has always shaped and impacted upon the national fortunes of our country. But ideologically it has quite often been presented as an ethnic issue, pitting one ethnic group against another, and creating conflicts at levels of ordinary peasants away from the real perpetrators of social injustice: the lot Prophet Amos speaks about. Let us wake up and protect the innocent so as to make progress at this transitional time.